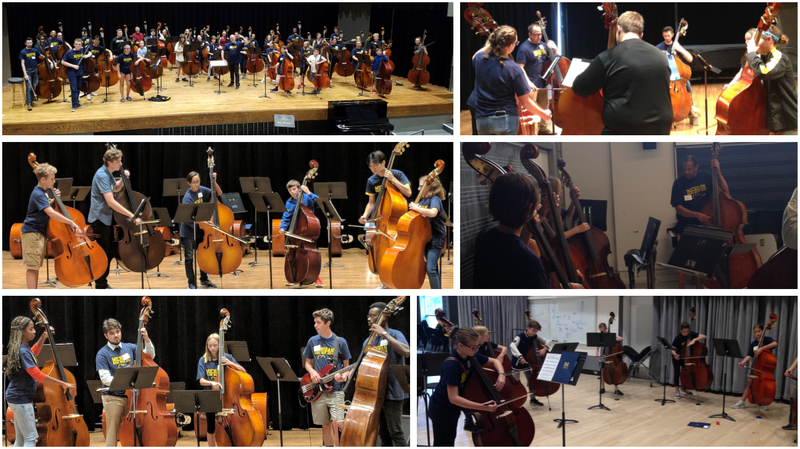 30 bass students in grades 6-12 attended Bass Bash at the University of Michigan on Saturday, September 15, 2018. The festival was directed by MASTA president-elect Michael Hopkins with University of Michigan Bass faculty Max Dimoff and Robert Hurst. Longtime MASTA members John Kennedy and Larry Hutchinson taught at the festival as well as Maggie Hasspacher and many of the U-M double bass students. Participants from the following schools came to Bass Bash. Thanks to the MASTA members who encouraged students to attend!